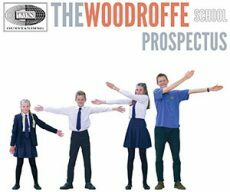 This year pupils at The Woodroffe School have produced another excellent set of GCSE results with 77% of students achieving the new ‘Basics’ measure (i.e. the percentage of pupils achieving at least a C grade in both English and Maths) and 73% of students gaining at least 5A*-Cs (including English and Maths). For a fully comprehensive school, this represents outstanding performance and one which confirms the school’s Ofsted Outstanding status. The 5A*-C figure is also impressive at 79%.